On Monday evening, the first election of the presidential primary season revealed which candidates are popular enough to stand as serious contenders in the race. There were a few unique characteristics of this year's historic Iowa caucus that made it worth watching. 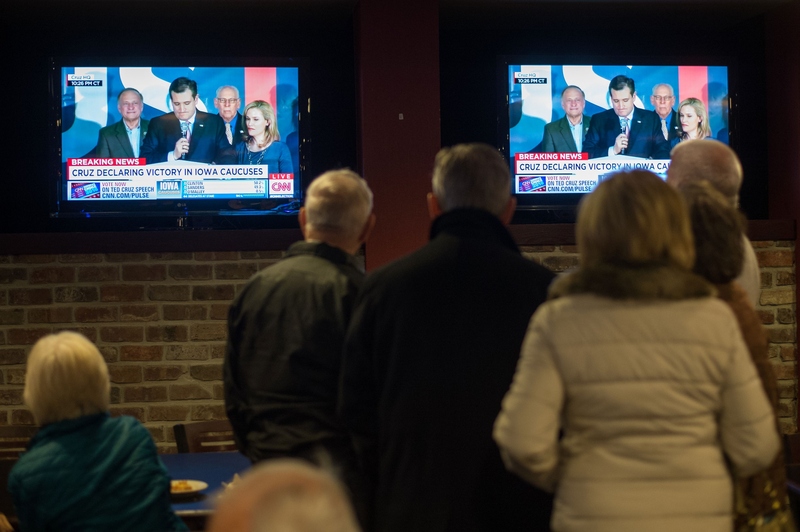 Though watching the results unfold probably wasn't as wildly entertaining as the presidential debates, the results represented some fascinating first-time feats for Republican and Democratic candidates, as well as for caucus-goers. There is no playbook for this. If you wrote about this in Hollywood no one would believe it. A win by Bernie Sanders tonight and a win by Donald Trump tonight creates an earthquake in American politics. The likes of which, I can’t remember in my lifetime. That means the Republican Party and Democratic Party and the power structure in Washington D.C. are decimated all in one day. The people in Iowa can do that tonight. They can change history tonight, we’ll see if it happens. All I know is, we are bringing out large numbers of people. We're creating a lot of excitement and energy on the part of people who really are tired of establishment politics and establishment economics. The political establishment wasn't rattled to its core on either side of the party lines, but according to Iowa Democratic chairman Andy McGuire, this year's results were the closest they have ever been in Iowa Democratic caucus history. Those who voted for either Clinton or Sanders were largely divided by age demographics, meaning that Sanders successfully appealed to the young people upon whom he was counting. According to entrance polls collected by The New York Times, Sanders won 84 percent of votes from people age 29 or younger, surpassing the share of the youth vote received by Obama in the 2008 elections. Though Hillary Clinton won the caucuses, Sanders came in close second. And while she may have won by less than a point, a victory's a victory, no matter what size. The moment is particularly significant for the nation, because Clinton is the first woman in history to win the Iowa caucuses. The results of the Republican caucuses weren't a "virtual tie," but they were close nonetheless. Though Donald Trump was leading in Iowa's polls, Ted Cruz ultimately took home the cake, striding slightly ahead of the billionaire. Cruz's win might be surprising, but it's certainly not historic. The voter turnout among Republicans, however, broke records. According to Fox News, 182,000 Republican caucus-goers participated, beating 2012's 122,000 by a long shot. Overall, regardless of party affiliation, this year's Iowa caucuses were packed with first-time voters who had been inspired to participate. Fox News reported that four in 10 Iowans were first-timers, suggesting there's something special about this election season. It's firing people up. Considering how less than 20 percent of eligible American voters voted in 2012's primary elections (the lowest turnout in decades), let's hope the trend continues across the nation.